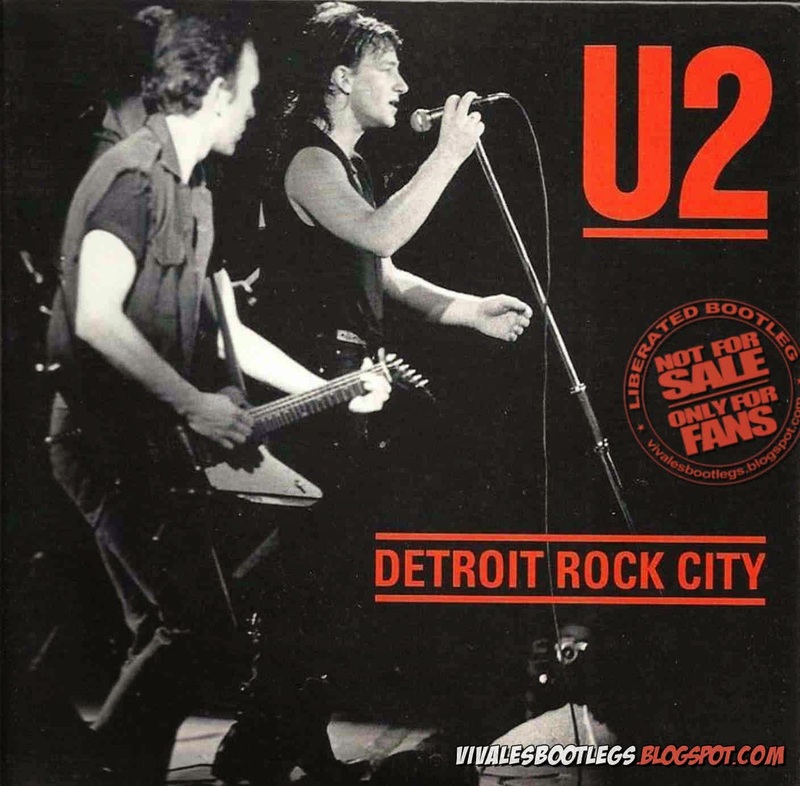 Recorded Live at Nassau Coliseum, Uniondale, NY, USA - August 19, 1994. Excellent Audience Recording :: Silver CD :: Lossles FLAC. Files: 15.:: Size: 525.81 MB (flac). Personnel: Dimebag Darrell – guitar, backing vocals / Vinnie Paul – drums / Rex Brown – bass, backing vocals / Phil Anselmo – lead vocals. Notes: Original lineage unknown, but definitely audience-sourced. Notes from labattblueleaf: - Date printed on inside cover and back cover is August 18, 1994. 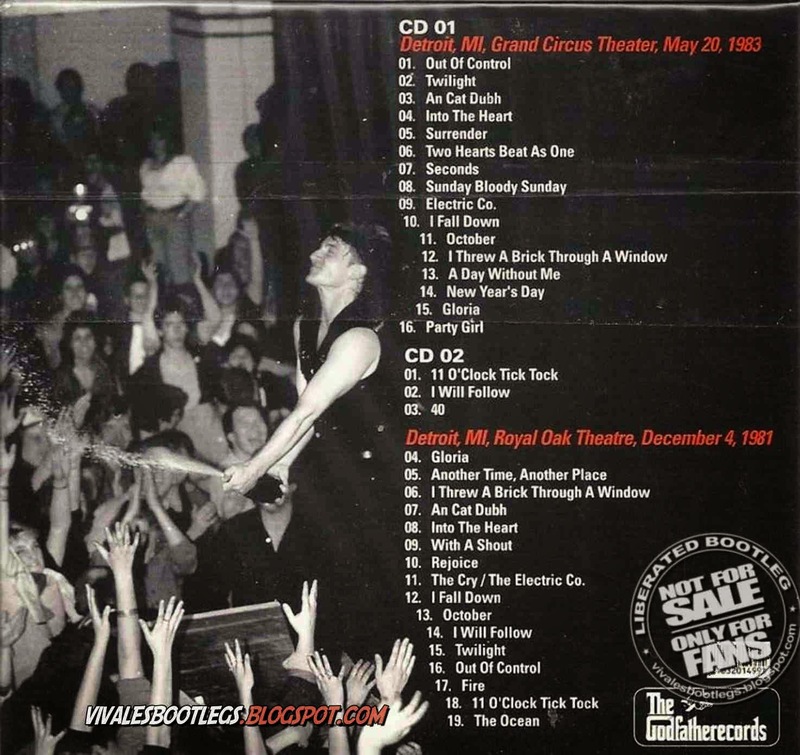 Image of ticket stub I found online documents correct date of August 19,1994. Additionally, this concert vid is floating around YouTube (different audio source) showing 1994-08-19. 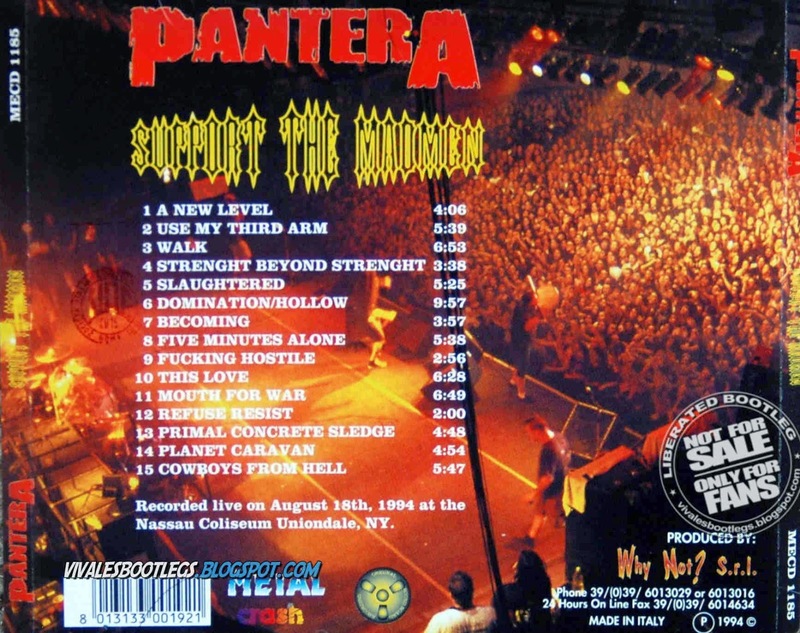 I saw Pantera for the first time in Kalamazoo, MI three days before this show. Have the handbill even. 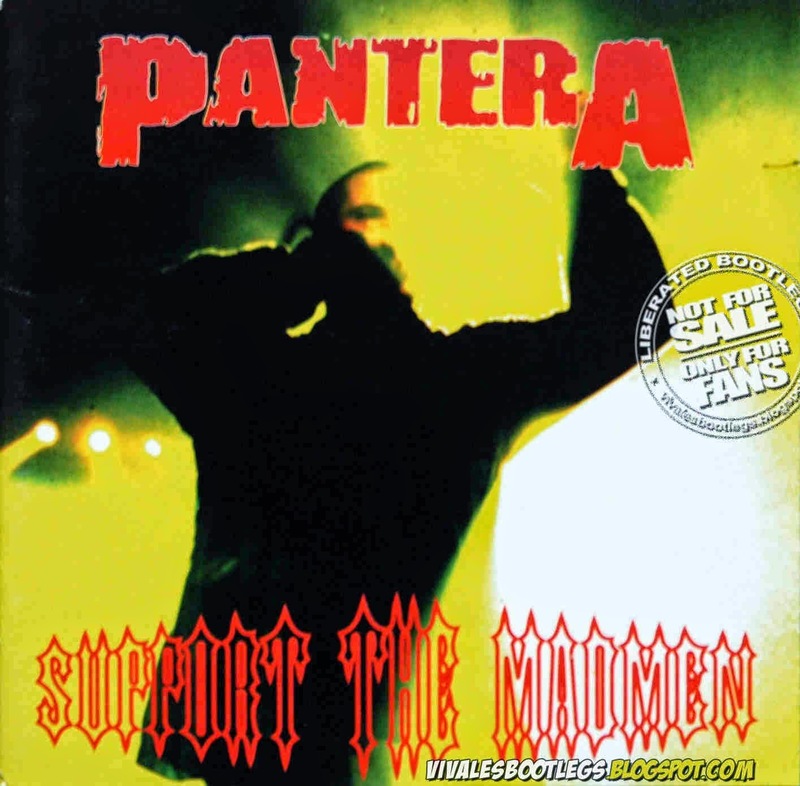 Due to that, and this being my first Pantera boot, this show holds a place near-and-dear to my heart. I'm shocked "Planet Caravan" doesn't have a hole worn through it on the CD! Prong opened. Sepultura was also supposed to be on this bill but Max messed up his knee and Sepultura had to cancel a good chunk of the tour dates. Phil talks about it at the end of "Mouth For War". Above all else, especially above my bias for this show, for any casual listener, it is an excellent audience recording. 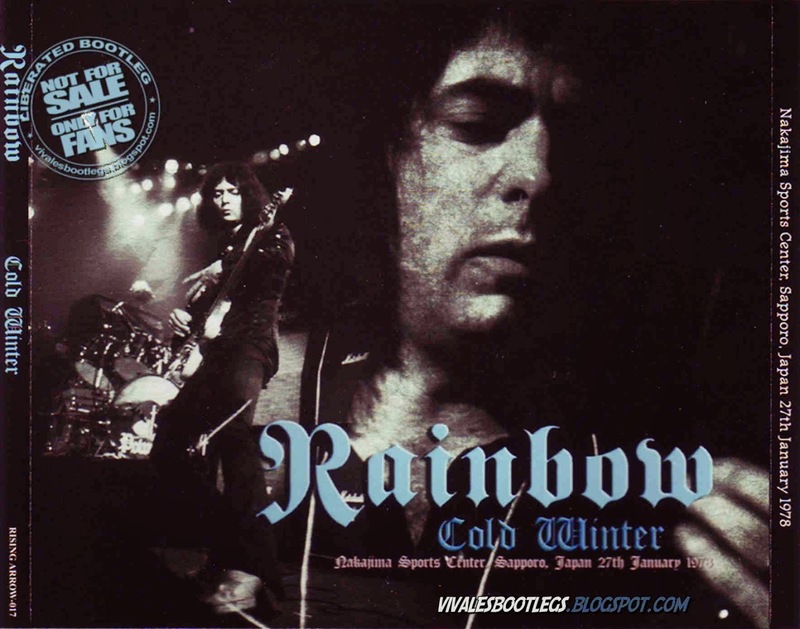 Recorded Live at Zepp Fukuoka, Fukuoka, Japan - December 15, 2001. Files: 25. :: Size: 299.55 MB (mp3) | 801 MB (flac). 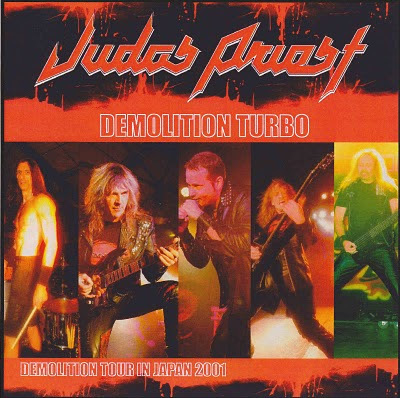 Personnel: Tim "Ripper" Owens - vocals :: Glenn Tipton - guitar :: KK Downing - guitar :: Ian Hill - bass :: Scott Travis - drums. Notes: Audience recording (Liberated bootleg) Lineage: Original bootleg discs > WAV (EAC in secure mode) > Flac (TLH @ level 8).<-(Info taken from original info file). 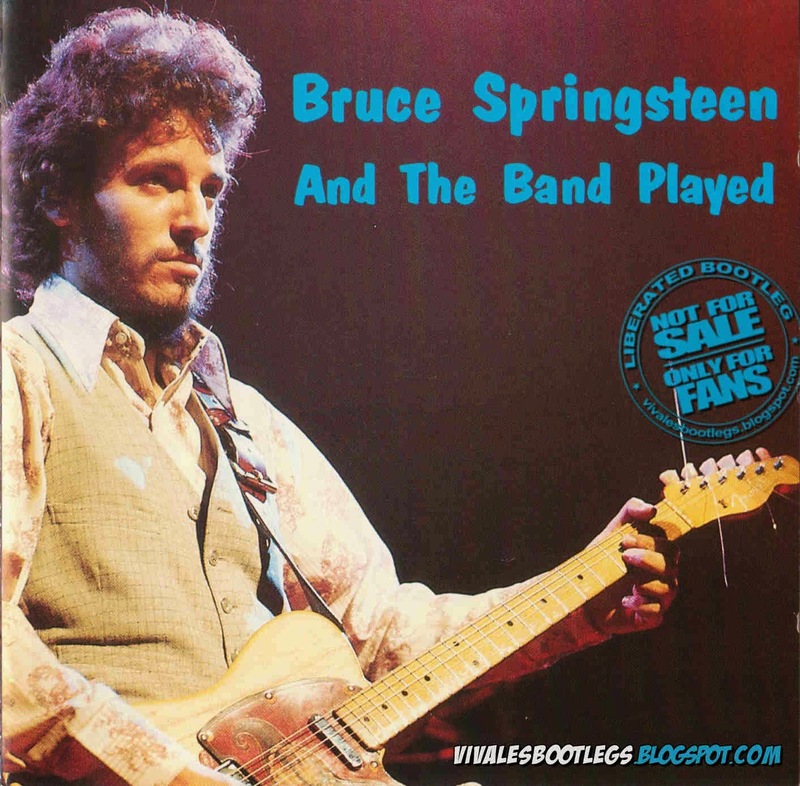 Recorded Live at Festival Hall, Osaka, Japan - February 14, 1983. VG+ Audience from Original Audience Master :: PRO CDR's :: Lossless FLAC. Files: 15.:: Size: 630.65 MB (flac). 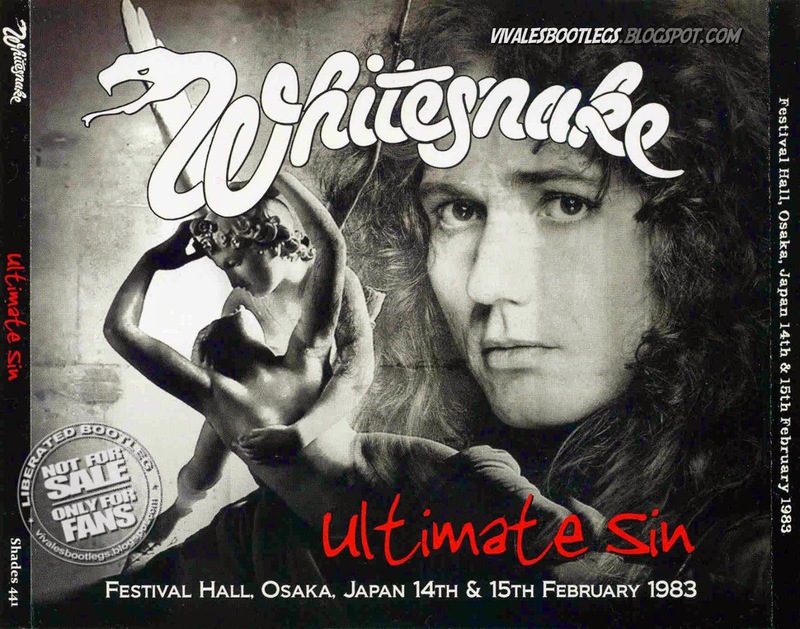 Personnel: David Coverdale - Vocals / Micky Moody - Guitar / Mel Galley - Guitar / Jon Lord - Keyboards / Cozy Powell - Drums / Colin Hodgkinson - Bass . 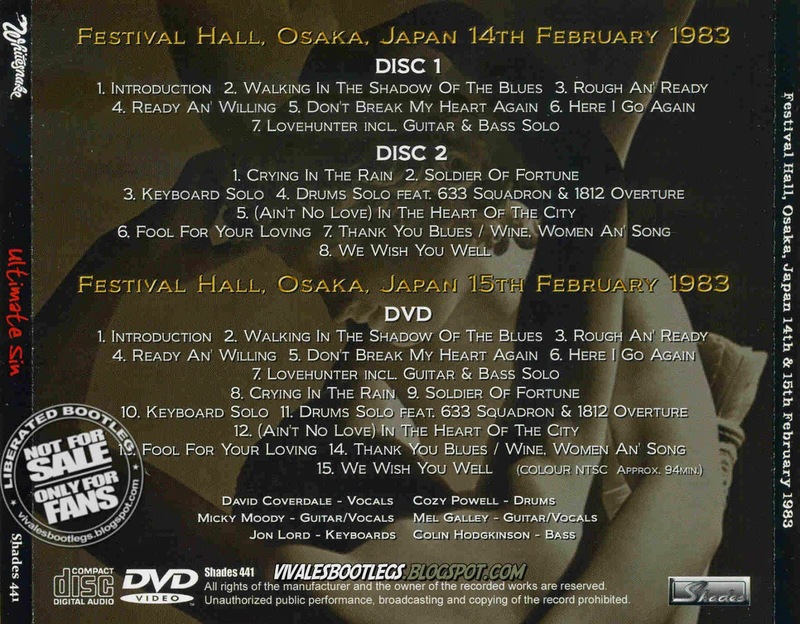 Notes: 1st Part of a 4 CD and 1 DVD from 2 nights in Osaka of the Japanese leg of the Saint's n' Sinners tour 1983. Lineage: CDR's > EAC > .WAV > TLH (flac level 8).<- Info taken fron original nfo file>. 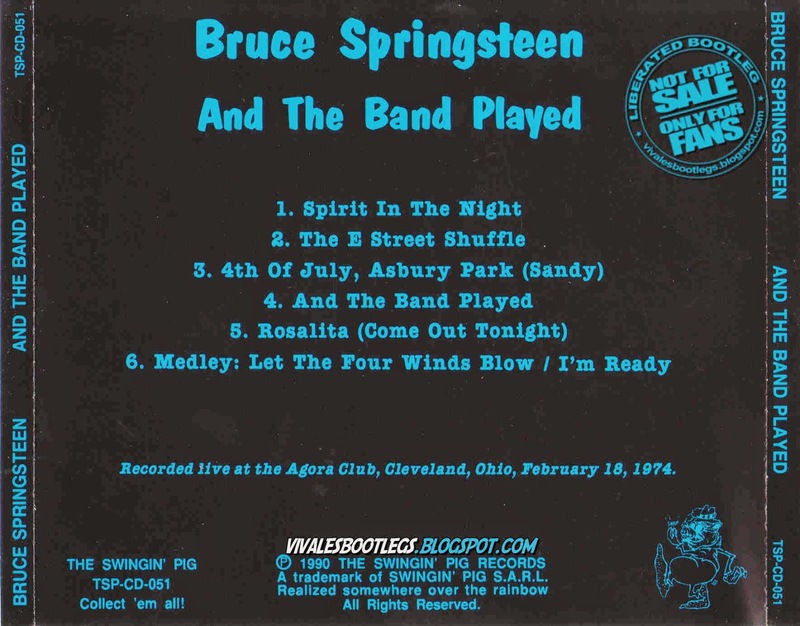 Recorded Live at Cilindro Municipal, Montevideo, Uruguay - February 05, 1983. 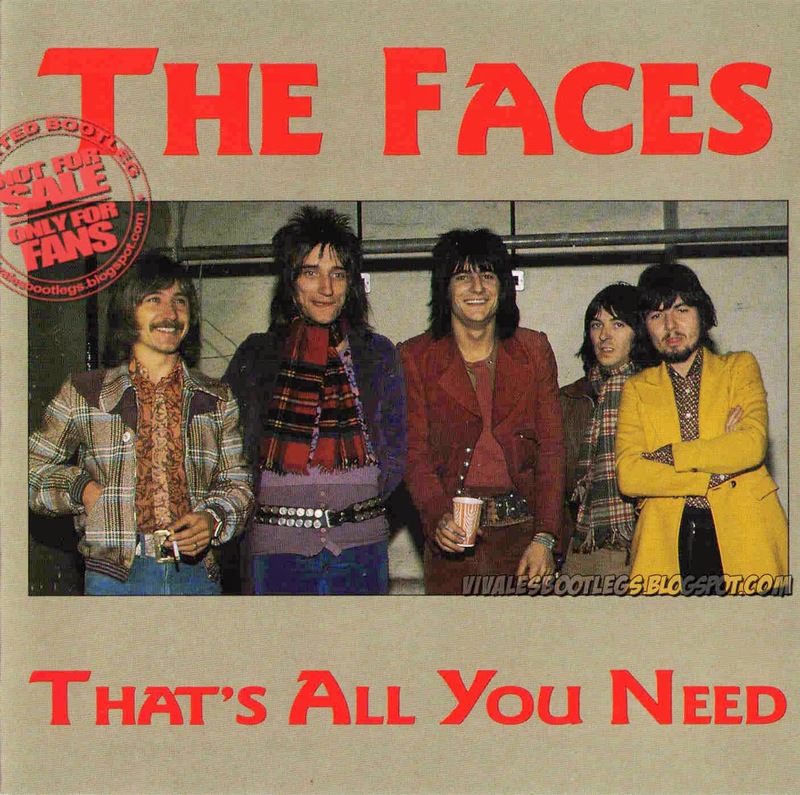 Files: 27. :: Size: 846 MB (flac). Personnel: David Lee Roth - lead vocals, harmonica, acoustic guitar :: Eddie Van Halen - electric and acoustic guitars, keyboards, backing vocals :: Michael Anthony - bass guitar, backing vocals :: Alex Van Halen - drums. Notes: Here is a complete show from the 1983 Hide Your Sheep Tour. This particular boot is from an FM source off cassette tape. (Info taken from original info file). Recorded Live at Piston 70, Ecole Centrale , Chatenay-Malabry, France , France - December 06, 1969 + Stockholm, Sweden on March 14, 1969 (Bonus tracks). VG+ Audience + EX FM Recording :: Lossless FLAC. Files: 15.:: Size: 620.39 MB (mp3)| MB (flac). Personnel: Jimmy Page, John Bonham, John Paul Jones, Robert Plant. Notes: Their final gig of the 60s has been the center of many releases since its recent surfacing. Generating a huge buzz when discovered, we knew it would be only a matter of months before multiple versions would be released. Releases to date include Seconds After Catching Fire (Tarantura), No Cancellation (Akashic Records), This Is Jimmy (Boleskinehouse Records), Centralien (Wendy), Les Rendezvous De Paris (Empress Valley) and two 4CD versions (each containing an original and remastered version) with LZ Au Gala De L’Ecole (Graf Zeppelin) and Chatenay-Malabry 1969 (no label). The recording comes from a good to very good audience source. The drums are unfortunately pushed to the back of the mix while the vocals, guitars and bass are equally up front. There is some distortion present but it remains a very listenable and exciting document to hear. When comparing sound quality between Chatenay-Malabry 1969 (no label) and this new Godfather I found the no label’s remaster to be a bit harsh on the top end while their original master on the third and forth discs are very similar sounding to Godfather’s version. Even further, Godfather’s level is a bit quieter giving it a more natural sound and is now my preferred choice when listening. 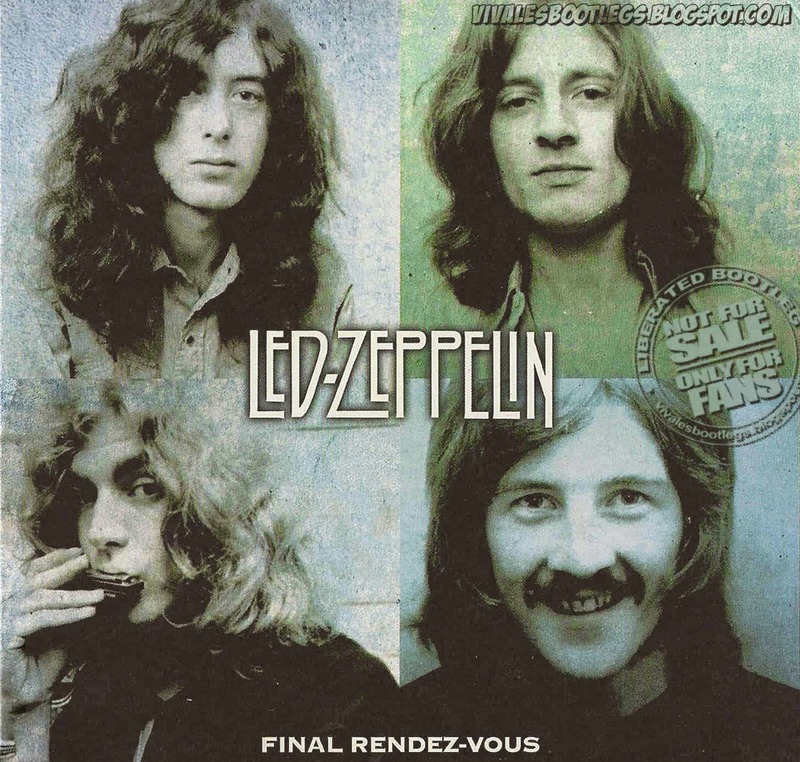 Final Rendez-Vous contains bonus material from Stockholm, Sweden on March 14, 1969 to fill out their second disc. This is a 22 minute tape taken from an FM broadcast in excellent quality. It has popped up on many releases before and is an interesting show where Page breaks a string and the band jams on “I Gotta Move”. Plant wails on vocal and harmonica while Jimmy changes his string. It has a killer early version of “Dazed” but unfortunately “How Many More Times” cuts out after only two minutes. 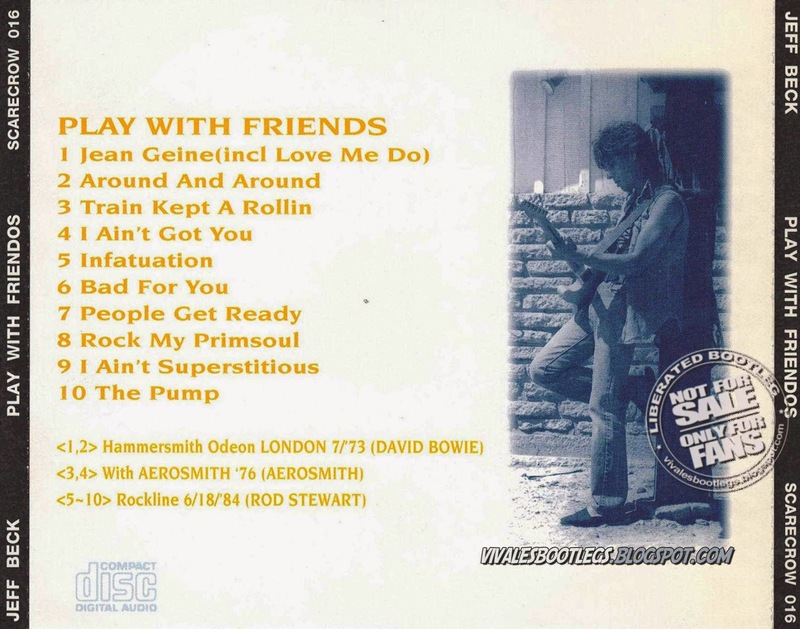 This is also the first version on CD to include the DJ comments and was a great choice to include as a bonus. Final Rendez-Vous and Chatenay-Malabry 1969 are both nice releases but Godfather releasing this as a 2CD set gives them the edge. The mastering is not overdone ..<Info taken from Collectors Music reviews>. Recorded Live at Various venues and dates. Soundboard & audiences recordings :: Silver CD :: Lossless FLAC. Files: 10.:: Size: 255.35 MB (flac). Guest Musicians: David Bowie, Rod Stewart, Aerosmith. 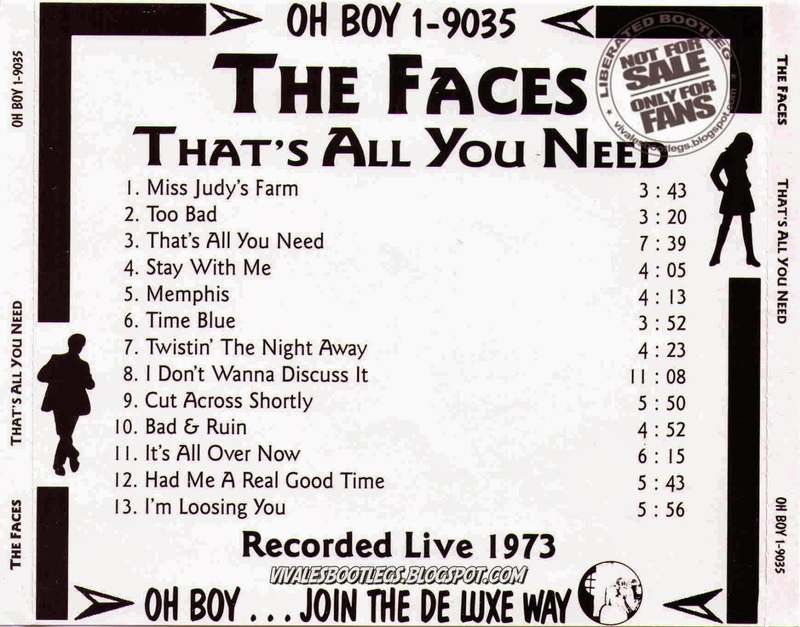 Tracks 1 and 2 are available too in Jeff Beck guesting with David Bowie & The Spiders From Mars - July 3, 1973 - ("AUD" & "SBD" Sources - "Tape Source" & Source from "Session Man, Vol. 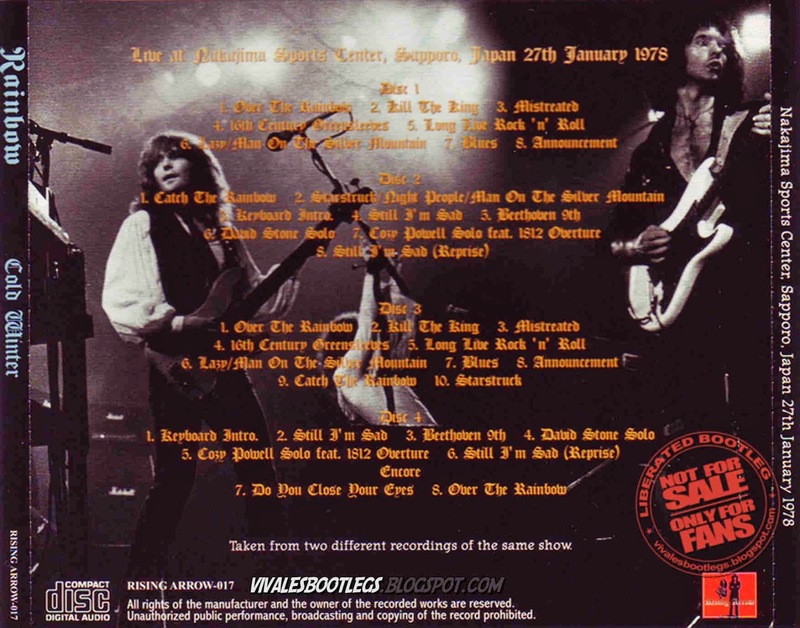 4" Liberated Bootleg, Head label - 21 Total Minutes Long) - Hammersmith Odeon, London, England. 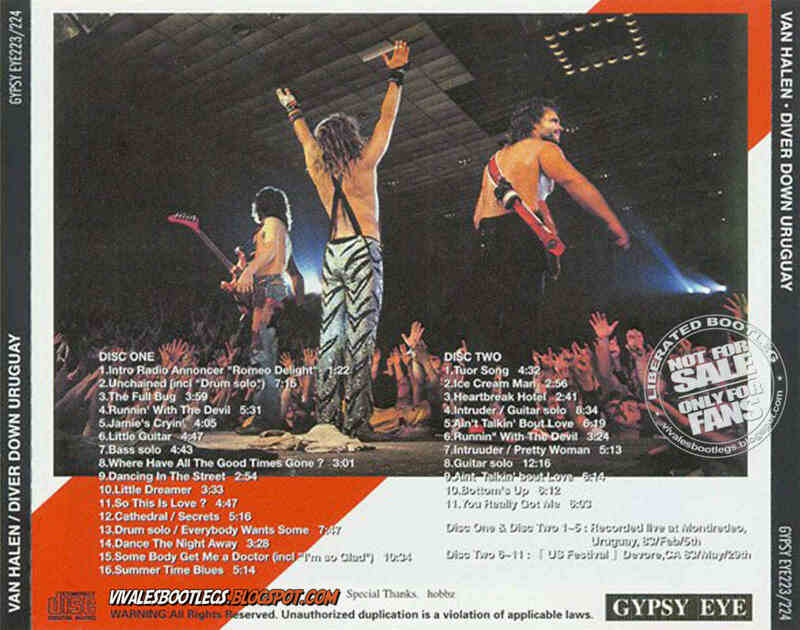 Tracks 3 and 4 are available too in Aerosmith w/Jeff Beck - Angel Stadium, Anaheim, CA -September 12, 1976 . 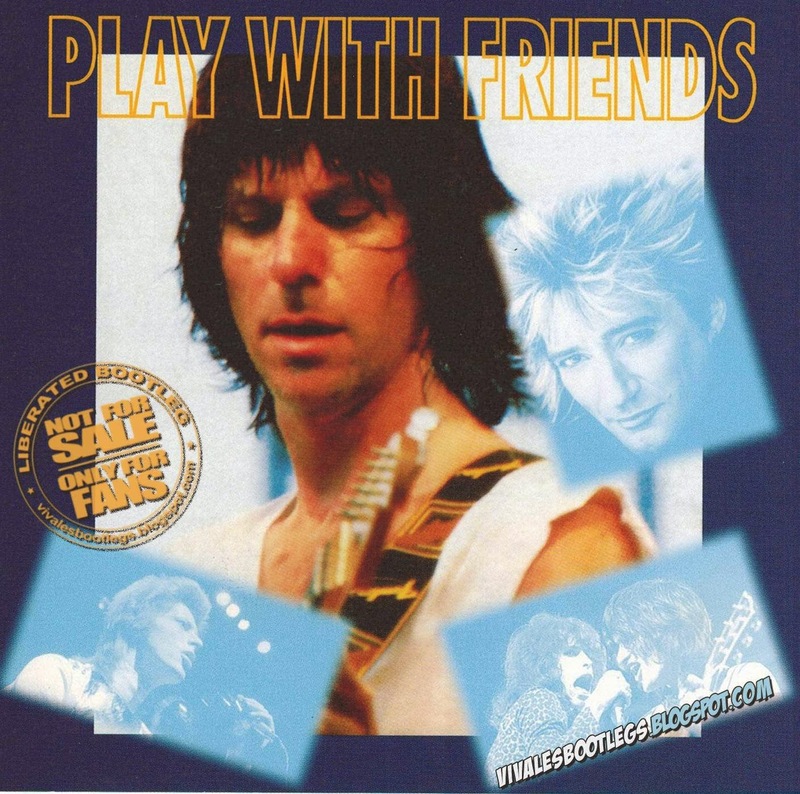 Jeff Beck guesting with Rod Stewart - Rockline radio - 1984-06-18 (I don't know whether this is a concert or a broadcast date.) - 05 Infatuation 06 Bad For You 07 People Get Ready 08 Rock My Primsoul 09 I Ain't Superstitious 10 The Pump, If you have any further info of these recordings please share it in the comments..( --> Info taken from original info file).